Garden Sparkle Blog: Happy Fairy Day!! Wishing you all a happy and glorious International Fairy Day!! 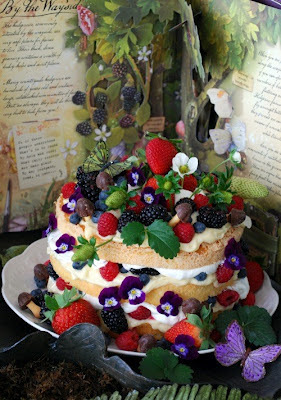 How divine is this cake for the faeries! Here are some fun things you can do today to celebrate International Fairy Day. Play, listen and dance to beautiful instrumental music such as harp or flute (other favourites are Enya and Lisa Gerrard).